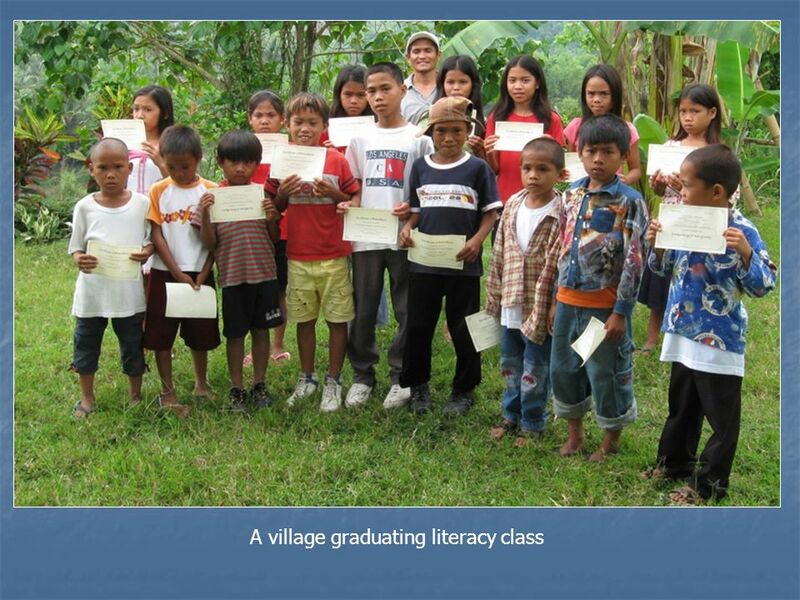 This is the Tagakaulo Training Center.. A literacy teacher hands out certificates. 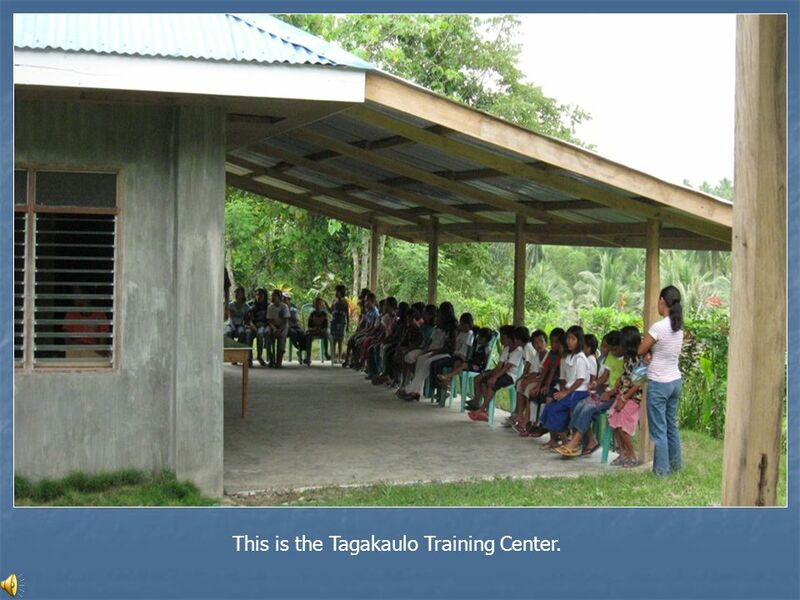 1 This is the Tagakaulo Training Center. 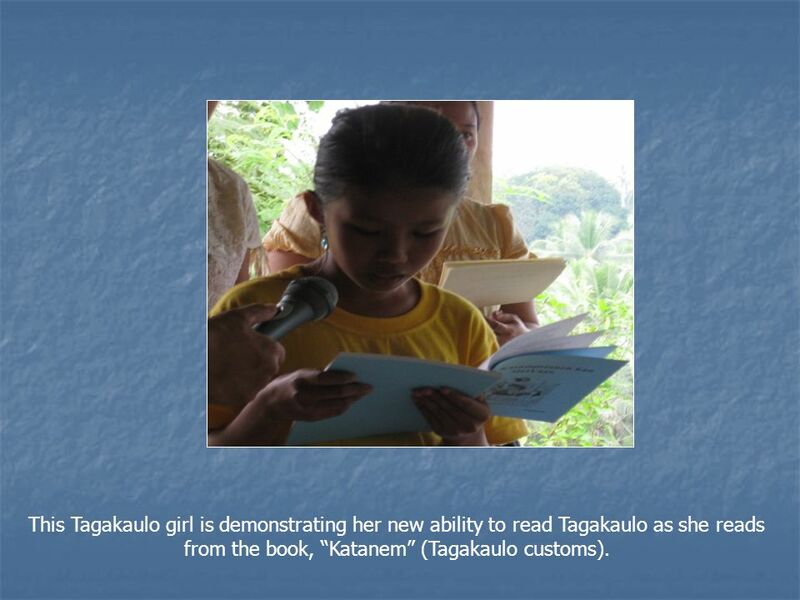 3 This Tagakaulo girl is demonstrating her new ability to read Tagakaulo as she reads from the book, “Katanem” (Tagakaulo customs). 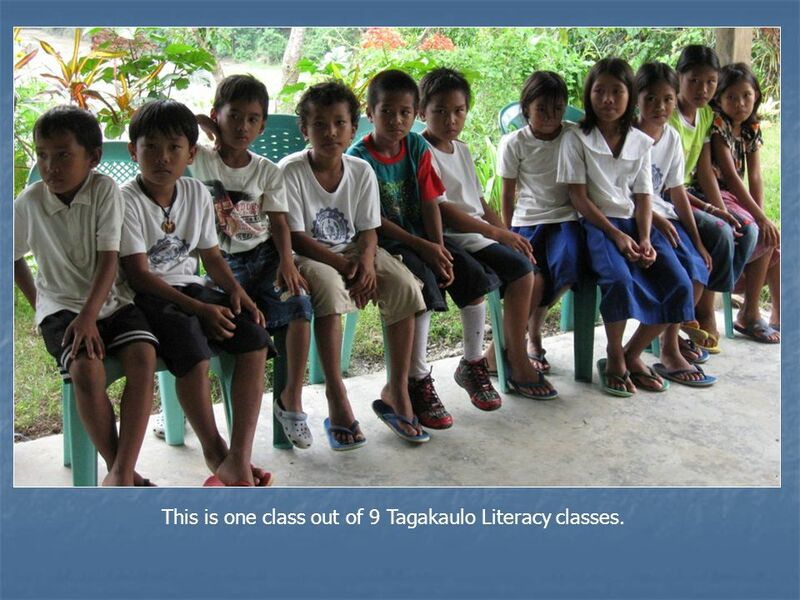 4 This is one class out of 9 Tagakaulo Literacy classes. 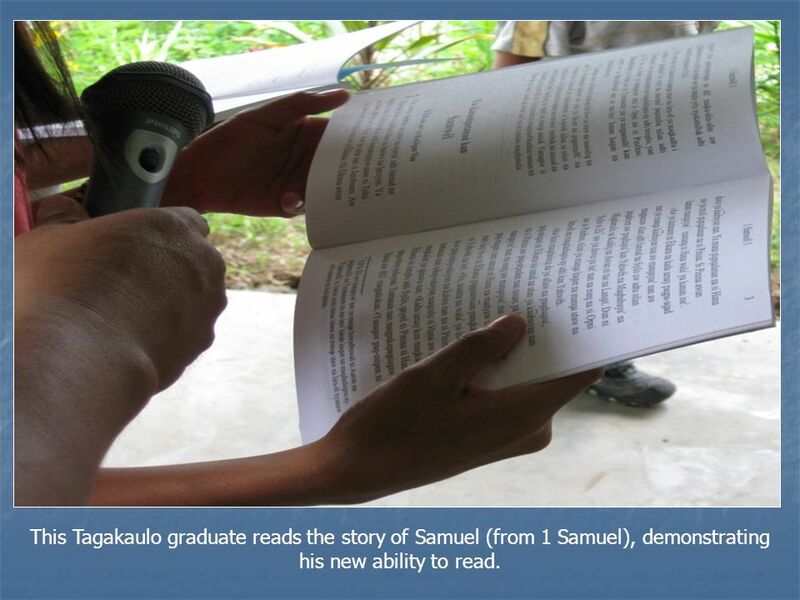 5 This Tagakaulo graduate reads the story of Samuel (from 1 Samuel), demonstrating his new ability to read. 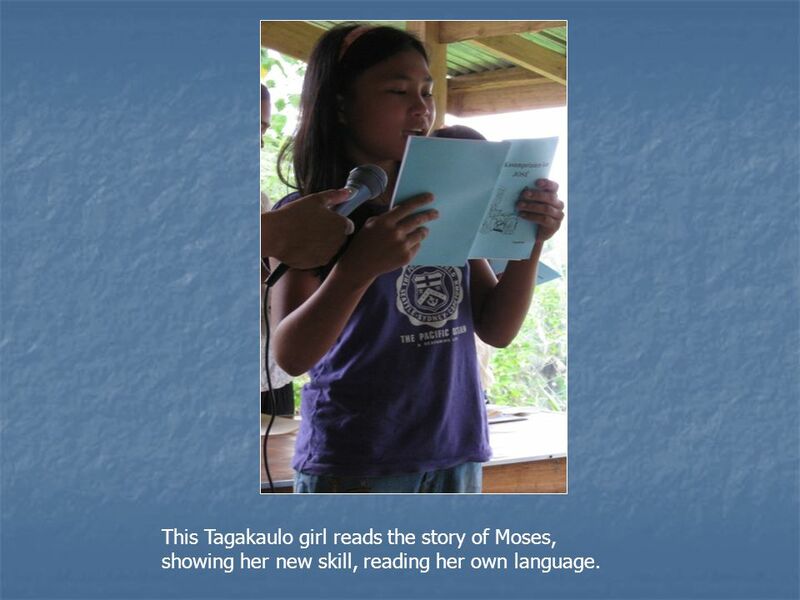 7 This Tagakaulo girl reads the story of Moses, showing her new skill, reading her own language. 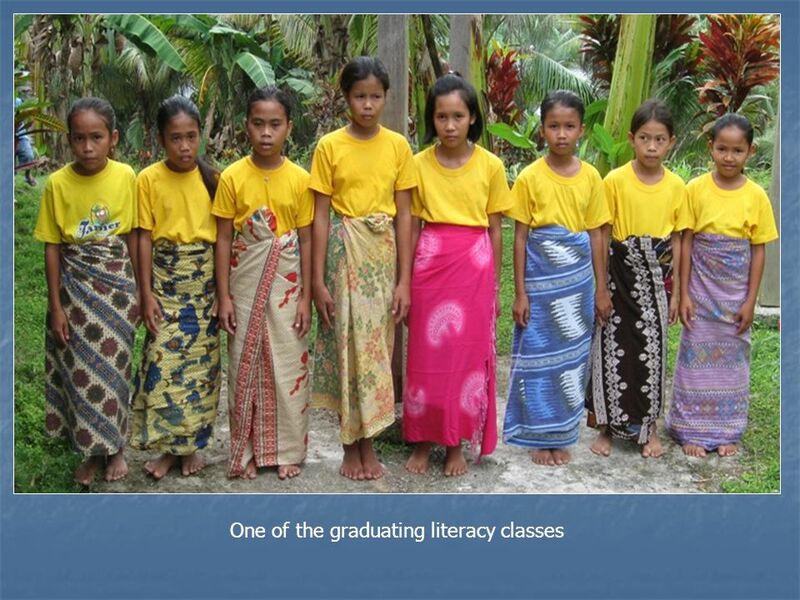 11 This Tagakaulo girl is demonstrating her new ability to read her language as she reads, for the first time, the story of Joseph (the historical account from the book of Genesis). 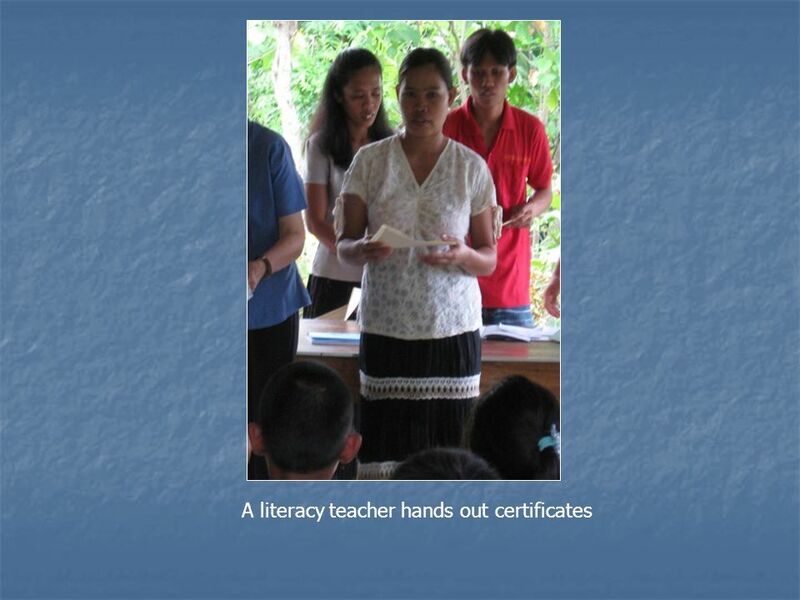 Download ppt "This is the Tagakaulo Training Center.. A literacy teacher hands out certificates." Special Award Presented to ……………………. 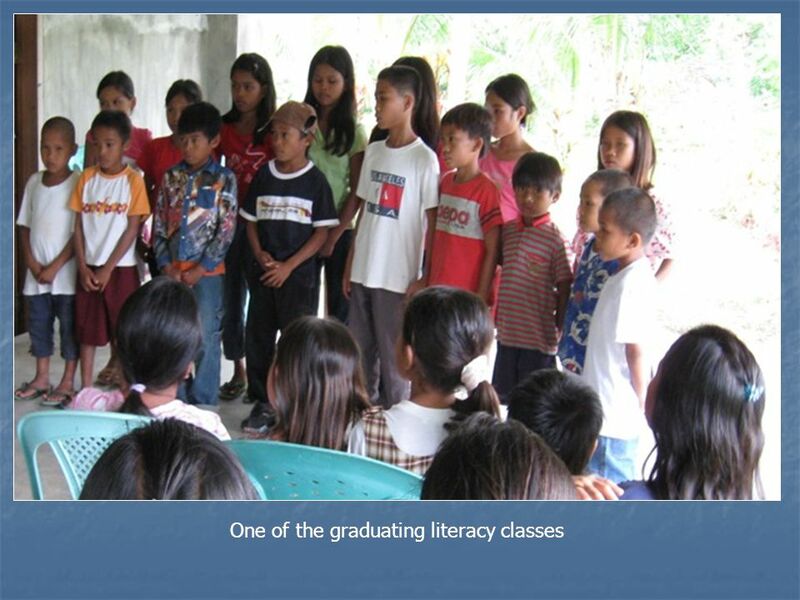 For outstanding effort in numeracy. Well done! WHAT IS RIGOR????????? Outcome # 2 Take out Your Own Device. Language Arts Theme 1 Passage to Freedom. 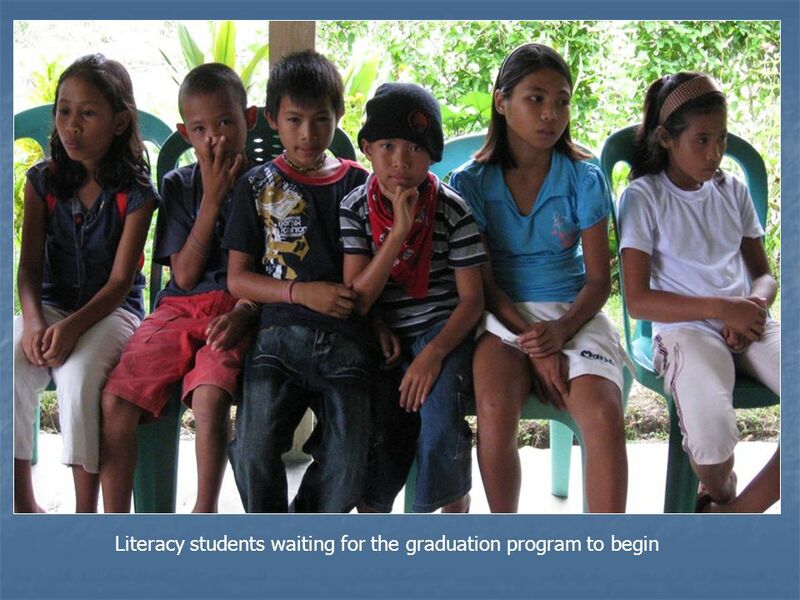 Do Now What would it be like to move to another country to live? Sixth Grade Library Skills # Uses both primary and secondary sources. Emília Besedičová Bratislava, SLOVAKIA Hello, My name is Emília Besedičová. I live in capital of Slovakia Bratislava. I am 60 yers old and I am retired. Communication What does this mean?. 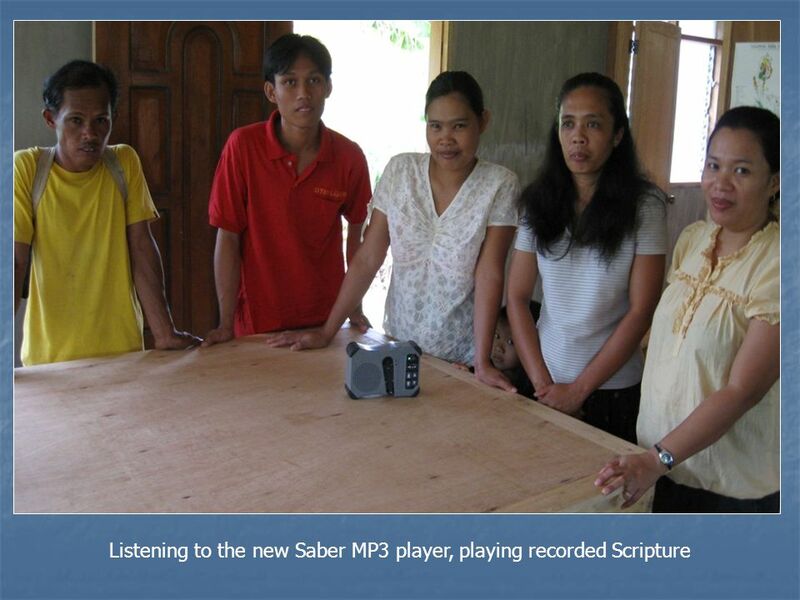 How do we communicate? ? Action Verbs By Ms. Emily What is an Action Verb? An action verb is a word that shows action. 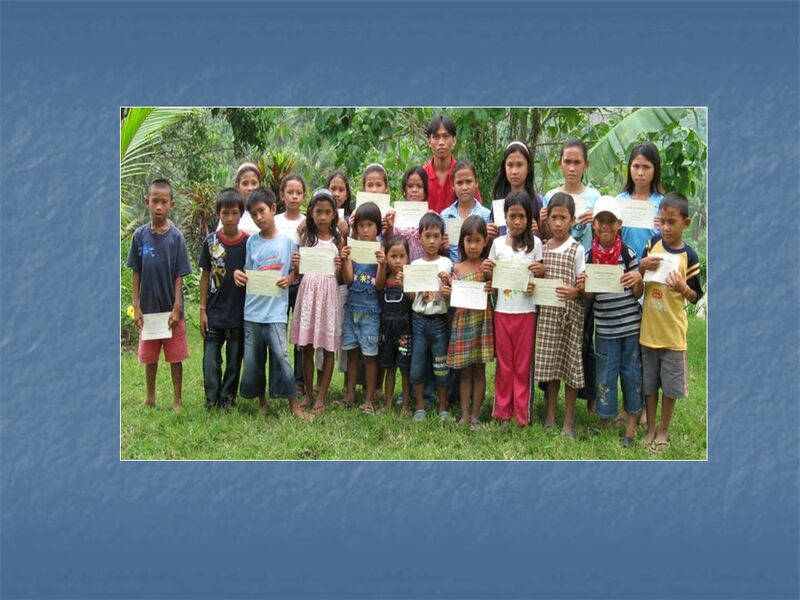 Short story for Grade Four students, about Proper Nouns. This story is called ‘Ciara love Mount Nebo’ I hope you enjoy. Alive-O (Junior Infants) Term 1: Lesson 13 Simeon and Anna Wait. Pupil of the month Primary 1BM January 2013 For always displaying such a pleasant manner and demonstrating a great ability to listen attentively and follow.